The five images shown here are the work of Rob Berdan. Rob Berdan takes nature photographs that stand out for their visual appeal, as well as their representation of nature and its beauty, which so often goes unseen. God Rays (above), taken in Millerville, Alberta, exhibits an amazing effect. 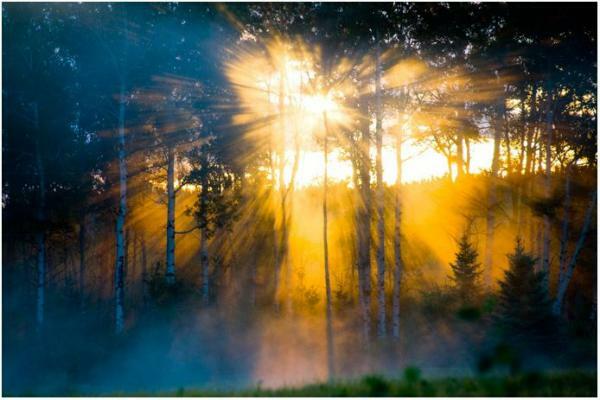 The contrast between light and dark along with the visual impact of the sun shining through the trees makes this photo one to be truly admired.